With roots deeply embedded in Cognitive Behaviour Therapy (CBT) and positive psychology, techniques of imagery therapy are increasingly recognized as an invaluable option in the therapist′s toolkit.The Positive Power of Imagery presents the theory and practice of imagery therapy as a creative intervention that challenges therapists to learn the skills for creatively designing personalized exercises to match clients′ specific needs, problems, and personalities. After presenting an overview of CBT, skills–directed therapy, and positive psychology concepts, therapist and international lecturer Tammie Ronen provides a grounded theory for applying techniques of imagery therapy, along with guidance for constructing a practical course of therapy that leads toward well–defined goals. Case illustrations and guidelines regarding imagery and metaphors in therapy are presented throughout the book for use in sessions with both adult clients and children. Therapists will gain the insights and necessary skills to best utilize and incorporate imagery in their own practice. 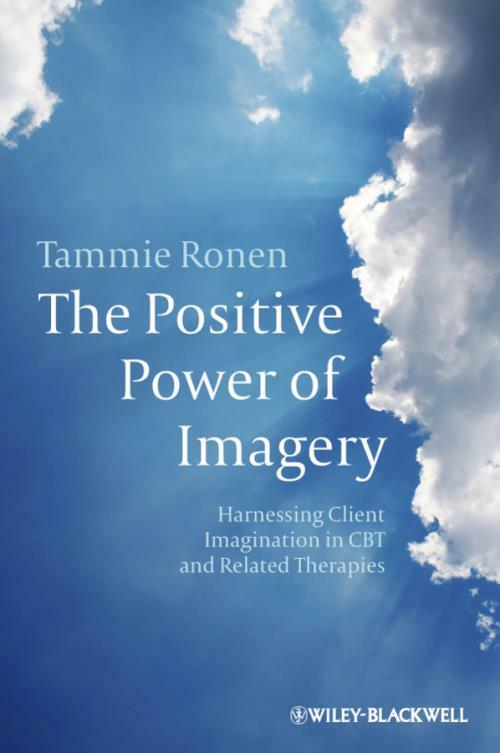 The Positive Power of Imagery offers deep insights into the innovative ways that imagery therapy can harness client imagination in CBT and related therapy treatments. 1 Introduction: On Becoming a Therapist. Who Am I and What Am I Doing? (The Emperor is Naked; The Wingless Bird). How Can I Do What I Plan to Do? (The Ladder; Having a Dream). Swimming Against the Tide: How Can I Remain Positive? How Can I Best Do What Needs to Be Done? (Discovering Creativity and Guided Imagination). 2 Thinking Like a Cognitive–Behavioral Therapist. The Basic View Underlying CBT. The Transition to an Approach Integrating Cognitive Therapy. The Integration of Cognitive and Behavioral Therapies. Self–Control Models: An Offshoot of Integrated CBT. Mindfulness Becomes Part of CBT. Major Tenets and Processes of CBT. Practice: Guidelines for Developing the Client′s Profile. 3 On Being a Positive Therapist. Becoming a Recognized Theory and Therapy. The Positive View of Clients and Therapeutic Processes. Practice: Guidelines for Applying Positive Psychology Exercises. 4 Creativity: Who Needs It, and for What? How Can One Promote Creative Action? Creative Psychotherapy and Creative Psychotherapists. Techniques to Facilitate Therapists′ Creativity. Practice: Guidelines for Activating One′s Creativity. 5 Applying Developmental CBT with Children. The Unique Nature of Childhood. CBT with Children as Distinct from CBT with Adults. Practice: Guidelines for Applying CBT with Children. PART II THE POSITIVE POWER OF IMAGERY. 6 Major Concepts Regarding Imagery. Perspectives on the Major Concepts. Pros and Cons of Working with Imagery. Practice: Guidelines for Increasing Therapists Own Ability to Elicit Memories. 7 Using Imagery in Psychotherapy: How, Why, and What For? What Kinds of Therapies Can Integrate Imagery, and for Which Client Problems? Overcoming Resistance to or Anxiety about Imagery Work. The Major Benefits of Imagery Use in Psychotherapy. Dangers of Working with Imagery. Practice: Guidelines for Therapists and Clients to Foster Imagery in Therapy. 8 Using Metaphors in Therapy. The Role of Metaphors in Therapy. Practice: Guidelines for Therapists Beginning Metaphor Work. PART III PREPARING TO APPLY THERAPY THROUGH IMAGERY. 9 Getting Ready to Start: Relaxation. Practice: Guidelines for Therapist Self–Relaxation Exercises. 10 Basic Guidelines for Conducting Imagery Therapy: From Setting to Termination. Preparation of Therapist, Setting, and Client. Pre–Imagery Exercises in Eliciting Images. Pre–Imagery Practice of Client Relaxation, to Set the Stage for Generating Images. Bringing Up Images and Describing Them. Facilitating New Coping Skills Through Imagery. Ending the Imagery Work Phase Within the Session. Follow–Up to Imagery Work: Reflection, Interpretation, and Meaning Making. Practice: Guidelines for Summarizing Knowledge and Skills Needed for Conducting the Session. 11 Adapting Relaxation and Imagery to Children. Applying Relaxation to Diverse Childhood Disorders. Adapting Relaxation Techniques to Children s Needs and Abilities. Case I: Dianne′s Television Phobia and Anxieties. Case III: Daniel′s Test Anxiety. Applying Imagery Techniques with Children. Practice: Guidelines for Adapting Relaxation and Imagery to Children and Young People. PART IV USING IMAGERY WHILE ASSESSING AND TREATING CLIENTS. 12 Using Imagery for Assessing Clients Throughout the Treatment Process. Assessment in Different Treatment Phases. Practice: Guidelines for the Main Questions Directed at Each Assessment Target. 13 Applying Imagery to Treat Past Events (Fears, Trauma, Posttrauma. Imaginal Exposure Followed by In Vivo Exposure. Imaginal Exposure Instead of In Vivo Exposure. Imagery as a Way to Elicit Memories and Remember Forgotten Material. Using Imagery for Cognitive Restructuring of Past Trauma. Practice: Guidelines for Choosing Between Options. 14 Imparting Assessment and Awareness Skills for Changing Present Behavior. Imparting Skills for Assessment of Relationships. Imparting Skills to Increase Awareness of Internal Stimuli. Imparting Skills for Changing Automatic Thoughts. 15 Imparting Skills to Improve Present Coping. Skills for Coping with Performance and Test Anxiety. Preparation Phase: Learning and Memorizing Materials Through Visualization. Execution Phase: Alternative Positive Images, Gradual Exposure, Humor, and Role Reversal. Eliciting Positive Images During Stressful Performance Situations. Implementing Gradual Exposure to the Feared Situation. Using Humor and Role Reversal to Gain Control and Confidence. Skills for Improving Social Relationships. Skills for Initiating Social Contacts. Assertiveness Skills (Learning to Say No). 16 Imparting Skills for Developing a Positive View of the Future. Facilitating Positive Emotions and Sensations. 17 Imparting Skills to Help Children Change: Further Guidelines and Case Illustrations. Treating Children in Middle Childhood. PART V NOTES AND CONCLUSIONS FOR IMAGERY THERAPISTS. 18 Helping Therapists Help Themselves. Skills for Learning to "Get Rid" of Difficult Things and Continue Toward the Future. Skills for Focusing on Your Own Positive Abilities as a Therapist. Skills for Planning Future Therapeutic Processes. General Skills for Helping Yourself. 19 Summary: Limitations, Dangers, and Future Directions. Limitations: Is Imagery Therapy Evidence Based? Are There Dangers in Applying Imagery Therapy?